With Father’s Day fast approaching (less than one month away!) most of us will be turning our thoughts to finding the perfect gift for our deserving Fathers. Why not make 2011 the year to expand your gift-giving horizons and present your Dad with something a bit different, something that he’ll actually want. After all, how many ties, mugs and personalized golf balls can a man find a use for? However, despite our good intentions, most of us just don’t have the time to spend browsing over-crowded stores and waiting at register lines. Thankfully, with Luxor Linens (www.LuxorLinens.com) you can get the best of both worlds – a thoughtful, beautifully packaged, highly personalized gift without any stress or time wasting. What’s more, Luxor Linens is offering their customized monogramming service for free for a limited time so it really is the perfect opportunity to make your Dad feel truly rewarded for everything he’s put up with over the years. Spoil him with a luxurious 5th Avenue Egyptian Cotton Men’s Luxury Bathrobe ($112.00), a clean and crisp robe perfect for lounging around the house reading the paper or watching Sports Center. And, even better, with Luxor Linens’ unique free monogramming service you can make the gift completely personalized to make your dad feel even more spoiled this Father’s Day. Luxor Linen’s Valentino Egyptian Cotton Sheets (from $242.55) feel cool, crisp and heavenly soft. Imported from Italy, the Valentino collection is woven to a decadent 1200 thread count in the finest 100% mercerized Egyptian cotton and is available in nine rich colors to compliment any bedroom. For the extra touch of luxury and class, the sheets are available with personalized monogramming at no extra cost. There’s a reason these are Luxor Linen’s bestselling and most requested item! If your dad likes to workout (or just to hang out at the gym trying to look good), Luxor Linen’s 900 GSM Rodeo Drive Egyptian Cotton Towel Set (now on special offer at just $99.00) is the perfect Father’s Day gift, one which he can bring with him to keep cool through those strenuous workouts or to dry off after the shower. Even better, with Luxor Linens’ free personal monogramming he can rest assured that no one will even attempt to steal his heavenly soft towels. 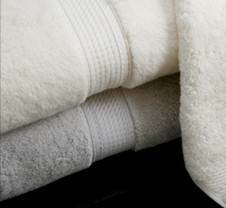 Available in twelve colors, these towels heavy, super absorbent, machine washable and actually get softer after each wash, making them the ultimate Egyptian cotton towels. 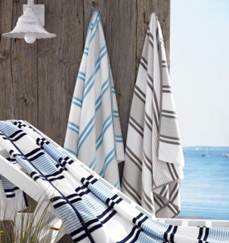 If your Dad is planning his summer trips to the beach, make his day with these Spiaggia Marina Luxury Beach Towels ($54.00). Made from 100% Combed Organic Cotton, these soft and quick-dry towels are available in three great summery designs and are just calling out for a trip to that nice warm beach. Luxor Linens is one of the world’s leading providers of home textiles, lounge wear and luxury bedding. Founders Jack Nekhala and Michael Nusinkis spare no luxury in the creation of their beautiful robes, towels, bed sheets and other home textiles and only the finest 100% Egyptian cotton is used in all Luxor Linen products. 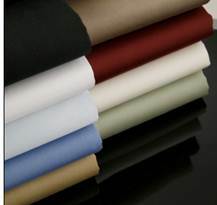 Luxor Linens is renowned for its unparalleled customer care and also specializes in customization of linens including everything from monogramming to irregular sizing tailored-to-order. The full collection can be viewed online at http://luxorlinens.com.